I love blogging and one of the reasons I stick with it day after is because I am able to make money from it. 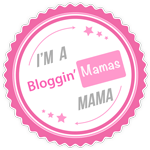 I need to be able to contribute to our family household and blogging and affiliate sales are allowing me to not only stay at home with my kids but to put money in our savings account as well. Back in May of 2016, I took Saira Perl’s Influencers 101 Twitter class to learn to increase my social presence on Twitter and get companies to pay me to tweet! You can read my journey and review of Influencers 101. About a year later, Saira rolled out her affiliate program for Influencers 101. I love her class and when you love something you want to share it with others right? Well I do and if I can make money for sharing what I love, total bonus! Here are my top three strategies on how I made over $1,300 on one affiliate program. This can be applied to other affiliate programs as well! Stand behind the class or product you are telling everyone about by trying the product or taking the class yourself. This is two-fold, It’s so much easier to sell if you know the product and second, if others have questions on it, you can answer them or at least know how to find the answer. No one wants your opinion if you haven’t tried it first. How many times have you found an awesome product or deal and you couldn’t wait to tell your friends about? Being an affiliate of a product you love is the same thing! The second way to make money from an affiliate program is to tell people about it. Seriously, this may sound silly but you need to spread the word about it. I created a blog post about my success in Influencers 101 and then I share it! Pin it on Pinterest. Post it on Facebook. Tweet it on Twitter. Share it on Instagram. And then I share it again and again. Be sure to have other content to share besides this one program. For example, I tweet my own blog posts and other sites I love every day and then I sprinkle in a few affiliate programs every couple of days. Share it but don’t over do it. And finally, mix it up a little bit. Don’t have the same message, hashtags and the same picture every time you pin it or post it. Eventually, people will see the picture without reading what you’re posting. At least once a month, change your wording, different hashtags to use and change the picture. For pictures, I either purchase stock photos through DespositPhotos (which by the way have excellent quality stock photos for a small fee) or I create original photos and then switch up the wording and hashtags on my social media shares. These three strategies will have you making more money on your affiliate programs. I know because it’s exactly what I did after taking the class, Influencers 101. Now, not only am I connecting with businesses and getting paid to tweet, but I am also making money talking about a class that I love!